I must have been on a international kick last week. From Jagerschnitzel to Potstickers, my family took a trip across the globe. Anyway, they turned out great the second time around. I'm actually excited to experiment and come up with my own recipe and flavor for Potstickers. I'll keep you posted...pun intended! 1. In a mixing bowl, combine the pork, ginger, garlic, whites of the scallions, 5-spice powder, hot sauce, 1 tablespoon sesame oil and 1 tablespoon soy sauce. Mix well with your hands. 2. 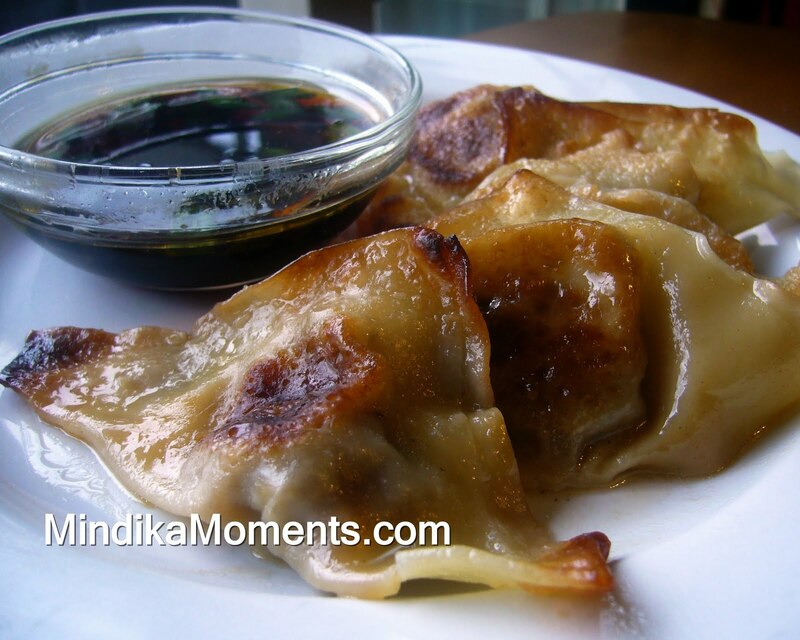 Cover the stack of wonton wrappers with a damp towel and fill a small bowl with water. 3. Working with a couple of wrappers at a time, place about a tablespoon of the meat mixture in the center of the wrapper and wet the edges by dabbing your finger in the water and running it around the edges. Fold the wrapper over to wrap the meat up so it looks like a half moon. Press the edges lightly to seal them and, if you like, crimp the edges for decoration. Continue filling and shaping the dumplings until all of the meat mixture and wrappers are used up. 4. Place a large skillet with a lid over medium-high heat with 1 turn of the pan of oil, about 1 tablespoon. 5. Add the dumplings, flat side down, into the pan and sear until deep golden brown, about 1 minute on each side. 6. Add the stock or water to the pan and quickly place the lid on. Steam the dumplings until the meat is cooked through and most all of the liquid has been absorbed, 3-4 minutes (if all of the liquid absorbs but the potstickers aren’t done yet, add a few splashes more liquid and continue cooking). 7. While the potstickers are steaming, in a small bowl, stir together the remaining soy sauce, sesame oil, reserved scallion greens and 2 tablespoons warm water. 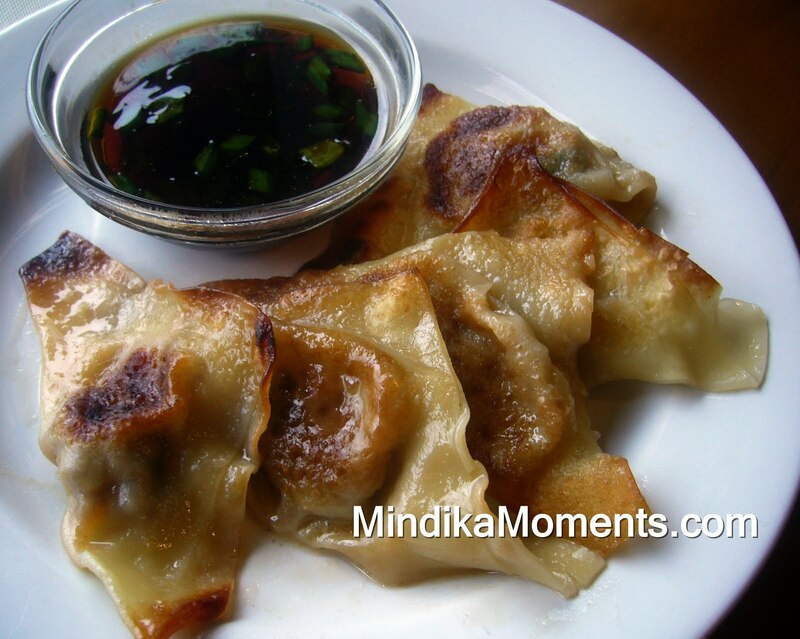 Serve the potstickers immediately with the dipping sauce alongside. This is REALLY high on my to-do list....I just figured out how to make the wonton dough~ You did an awesome job! btw, the backup plan is always, "Let's go out to eat!"